Do you hate hearts and flowers? Do you think Cupid is stupid? 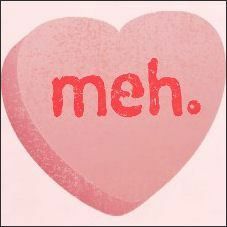 If you don't fall for this overrated Hallmark holiday, then you're in luck. Join your fellow teens for a traditional anti-Valentine's Day Party. This year's theme is "It's Not Me. It's You. Definitely. You." Each month will feature a different activity. Got an idea? Email Joe and let him know.